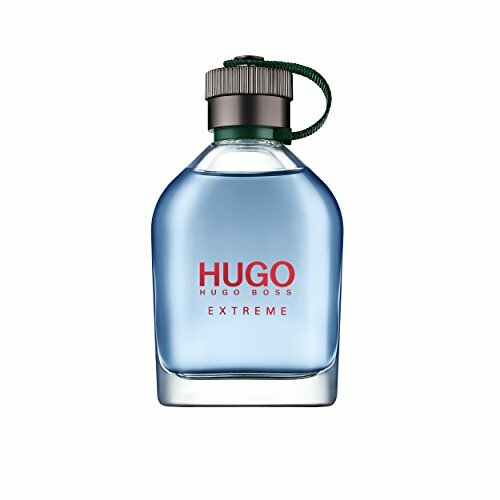 NEW HUGO MAN EXTREME - This New Eau De Parfum Brings The Classic Hugo Man To The Next Level With An Intense Contemporary Twist. The Scent Opens With The Iconic Freshness Of Green Apples, Which Has Been Intensified For Maximum Impact. As The Fragrance Develops, A Boosted Aromatic Heart Of Lavender, Sage And Geranium Reveals Its Modern Masculine Side. A Powerful And Distinctive Base Of Cedarwood And Fir Balsam Anchors The Scent. An Undeniable Chemistry Unites Each Ingredient, Resulting In An Explosion Of Masculine Energizing Freshness For The True Originals Who Want To Live Life On Their Own Terms. As Always, The Charisma Of The Free-Spirited Hugo Man And Its Fragrances Is Captured In The Iconic Flask Shaped Flacon.